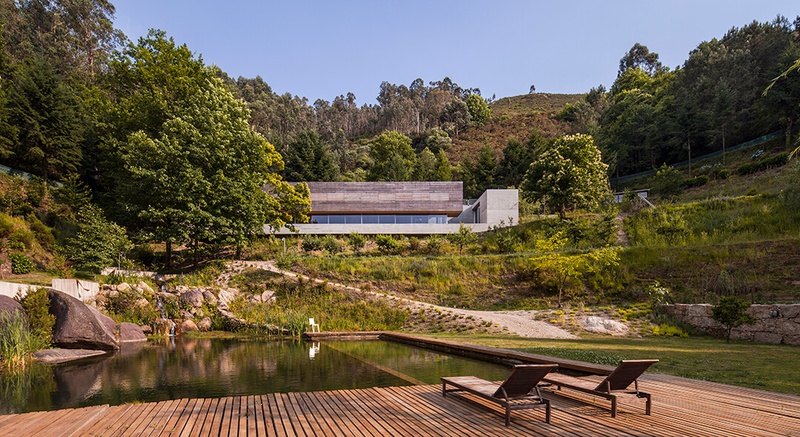 Gerês house is located on a steep slope in the Caniçada Valley in Portugal. 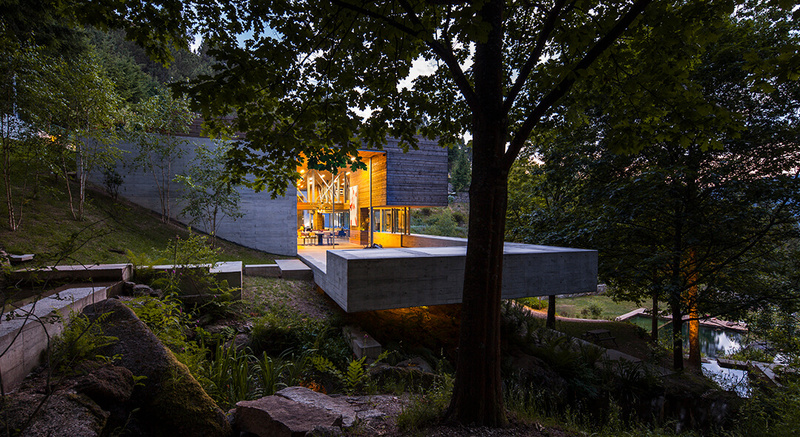 The contemporary building consists of two elements, a large Thermowood volume that rests on a concrete base, which extends over the land and on the water line. 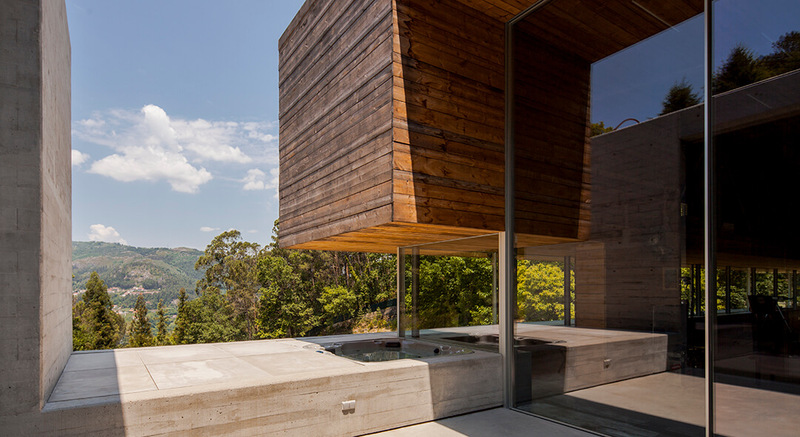 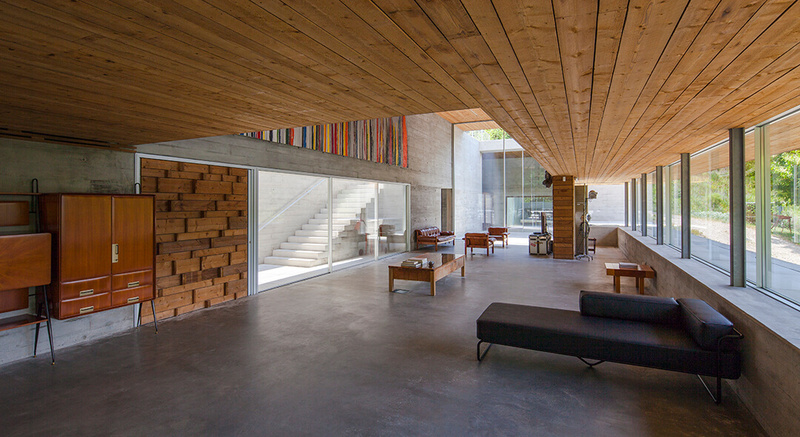 The use of Lunawood Thermo timber and concrete extends inside the house, which does not seek a conventional program, but rather large, functional and multipurpose spaces, where pleasure and work are mixed.